With Christmas just around the corner, now is the perfect time to start thinking about filling your diary with festive plans. 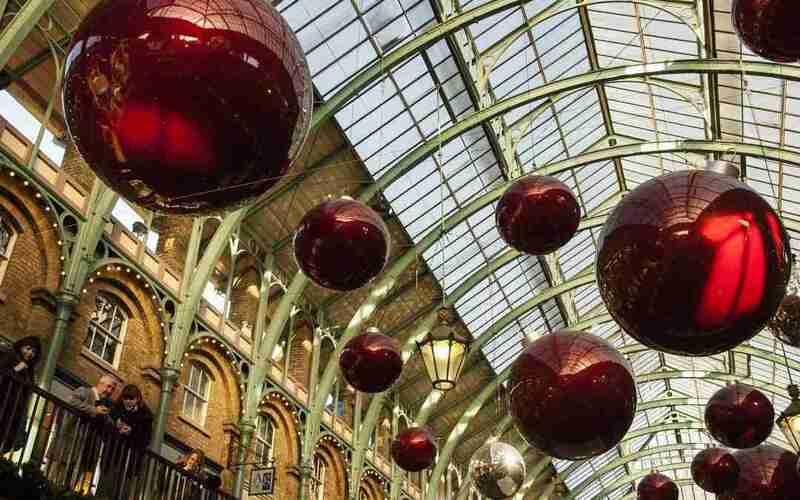 And there are lots of ways that you can celebrate the most wonderful time of the year in and around London. Whether you live and work in the capital, or you are planning a festive visit, you will find plenty of attractions, festive food and drink, ice rinks and markets to get you in the mood for the big day! There is no better place than London to work your way through your shopping list. From familiar high street stores and iconic designer department stores through to Christmas markets and fairs, you’re sure to find the perfect gift for your loved one. London’s pop winter igloos are becoming a familiar site on the banks of the Thames every winter. Now considered as one of the most festive spots to eat and drink in London, this unique take on outdoor dining is sure to get you in the mood for Christmas. Donated by the city of Oslo each year, Trafalgar Square’s iconic Christmas Tree is definitely worth a visit as it is one of the biggest Christmas trees in the capital. The tree is lit up from early December and you will frequently find different groups of carol singers beneath the tree. With its fun fair, ice rink, Christmas market and seasonal food and drink stalls, Winter Wonderland really is the ultimate place to get in the festive spirit. Located in Hyde Park and free to enter, Winter Wonderland is open from the 22nd November to the 6th January. There are also special screenings of The Snowman for Christmas 2018. Leicester Square is at the heart of London’s vibrant Christmas celebrations and you will find plenty of things to see and do including Santa’s grotto, a traditional Christmas market and lots of food and drink stalls. Here at ACS, we have worked at an extensive range of sites throughout many of these locations, providing effective air conditioning solutions that are perfectly equipped to keep the spaces that you spend the most time in cool and comfortable.